You've got an understanding of good versus evil. You have that heroic streak that's gone untapped for far too long. 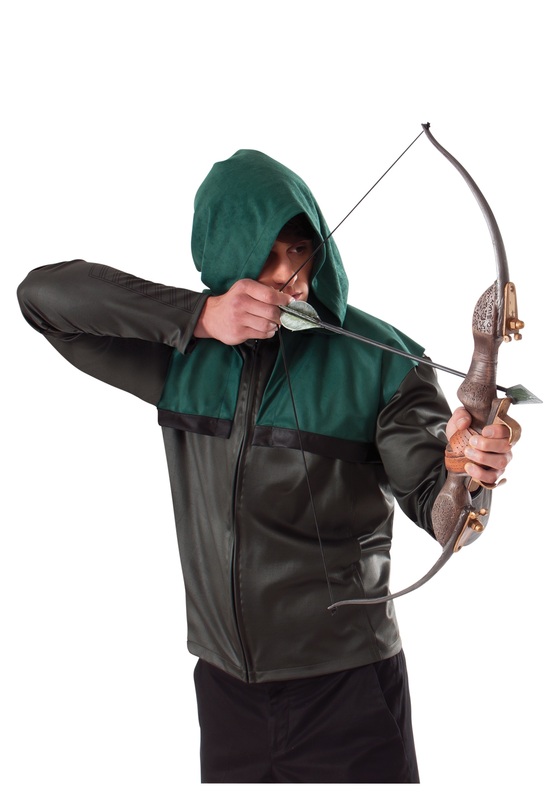 You even found this cool green hood to fulfill that whole 'mysterious vigilante' look you're going for... but something is STILL missing? Oh yeah! If you're really going to become Green Arrow, like Mr. Oliver Queen, then you have to have a bow and arrow! Luckily, we got what you need with this set! Starling City (or wherever you might be from) is going to have a new hero on their hands when you loose another arrow in the name of sweet JUSTICE!